All events are served buffet style and require at least a 48 hour lead time. We deliver, set up, serve and clean up. 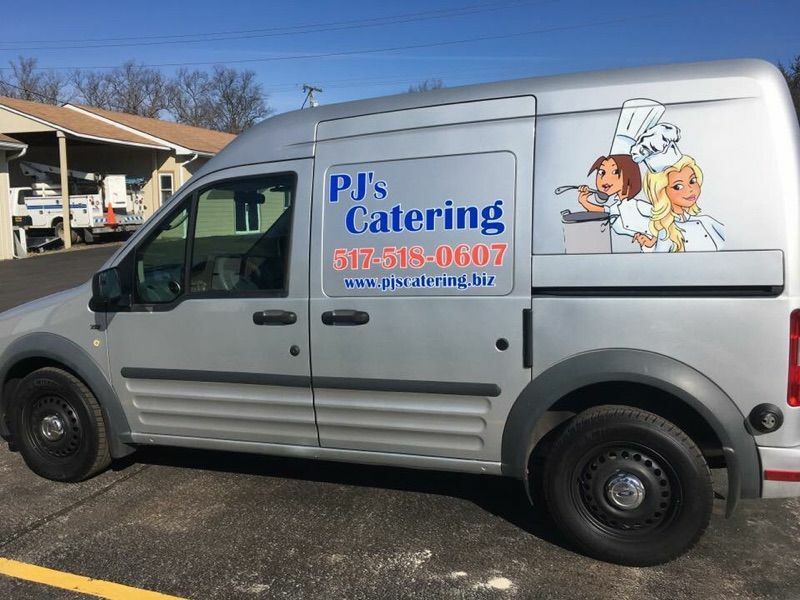 PJ's will deliver your food hot or cold, whatever is needed, and ready for service. We deliver, set up for service, serve if required and clean up. When service is not required, we deliver, set up and return later for equipment pick up. Delivey charge of $25 added to all events over 30 miles. Elegant or Casual, Large or Intimate - We Offer Full Service Catering and Event Planning Including Wedding, Showers, Birthday Parties, Business Meeting, BBQ’s, Theme Parties, etc.- learn more. Personalized Menus Are Our Specialty! We have combined forces to form PJ's Catering. All our dishes are made from scratch and our experience and talents will please your guests for any event. We cater any event, large or small, intimate or exotic, let us help you plan your next party.